How was everyone's week? Who's glad it's Friday? I have a four day weekend. A busy four day weekend. We have two little girl birthday parties to attend and some Christmas gift shopping to accomplish! Did you check out the Dare to Entertain projects over at Maybe Matilda? If not, hop to it! Today I'd like to share with you two of my favorites! First up we have the lovely Mindy from at Finding Silver Linings. Between trying to set her house on fire and preparing a holiday meal for her family, she whipped up these beautiful coffee filter peonies. They make for a simple, yet beautiful, centerpiece. Be sure to check out all of the features on the Dare to DIY Pinterest board! I also don't want to hang out at a party with just the hosts. I mean, I love them all but they'll probably just talk about all of their ridiculously cute children. Don't leave me hanging. 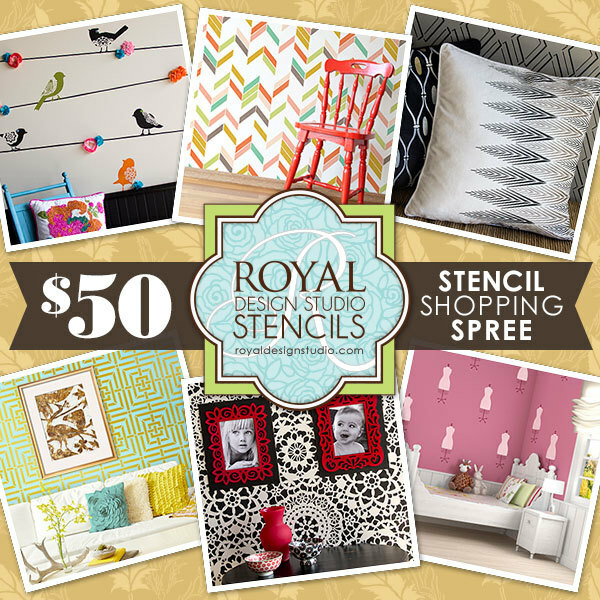 If that isn't enough motivation, you also have the chance to win a $50 stencil shopping spree from Royal Design Studio! Will you dare to give handmade? PEER PRESSURE!! !